Well we are having a couple of more normal days for August, up around 90 today and yesterday go fairly warm as well. Cooling off a bit again though tomorrow and the rest of the week. 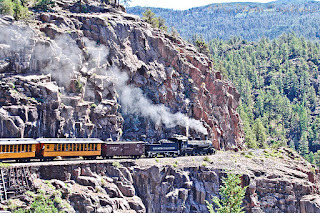 My image goes back to a beautiful day in Southwestern Colorado and the Durango & Silverton Railway. 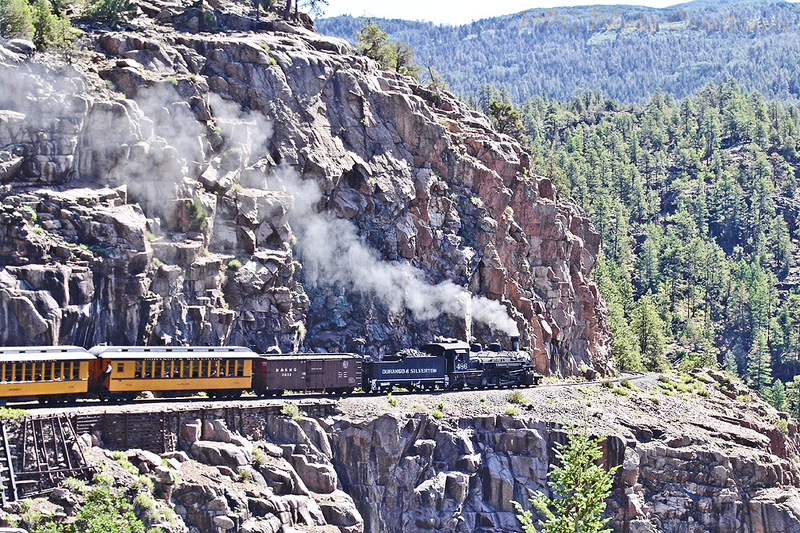 This is an image of the train above the Animas River on the famous Highline as it heads to Silverton. It is moving very slowly at this time so you get a lovely view of the river below.